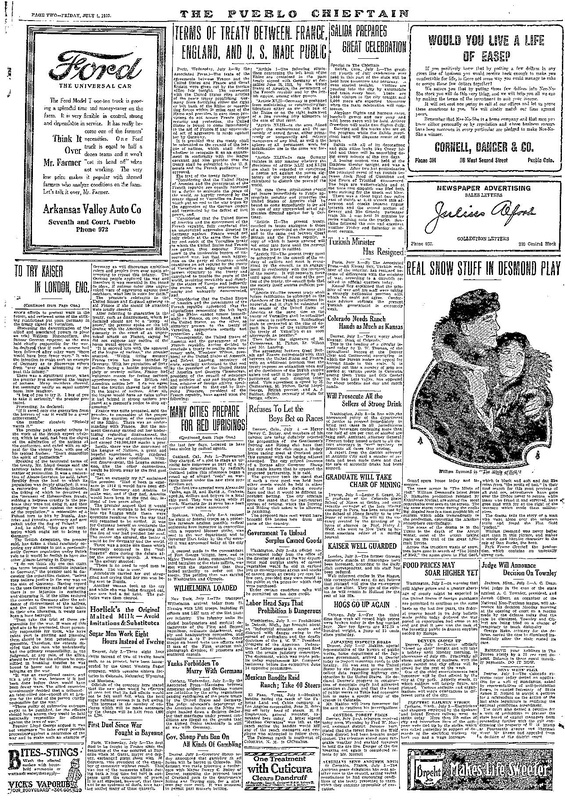 Not to be confused with the Great Deportation of 1917, on July 3rd of 1919, a conflict broke out between African American soldiers stationed at Fort Huachuca and white police in Bizbee. This was one of many violent incidents during the summer of 1919, that began as a conflict between white law enforcement officers and black soldiers or veterans. 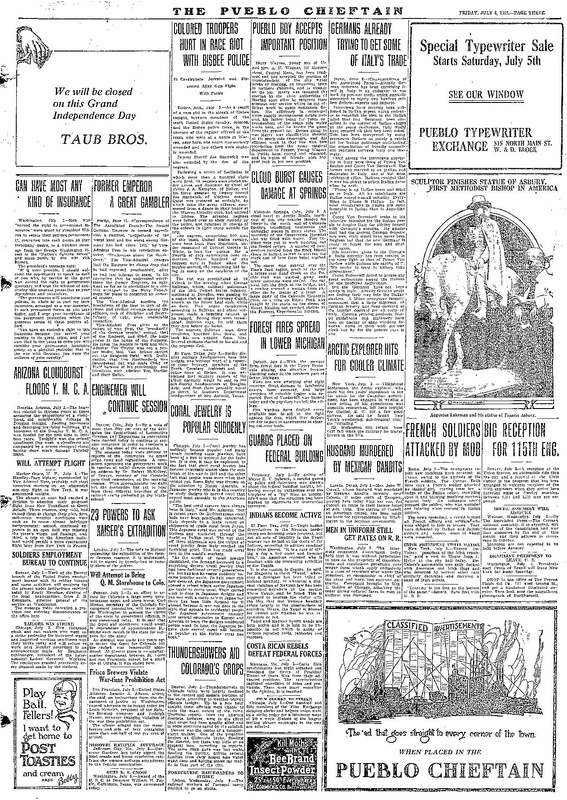 The Pueblo Chieftain, July 4th, 1919 – Pages 1 & 2 include interesting information about cities around the country preparing for possible attacks by Anarchists/Bolsheviks/Socialists on Independence Day. Page 3 specifically discusses the clash in Bizbee. 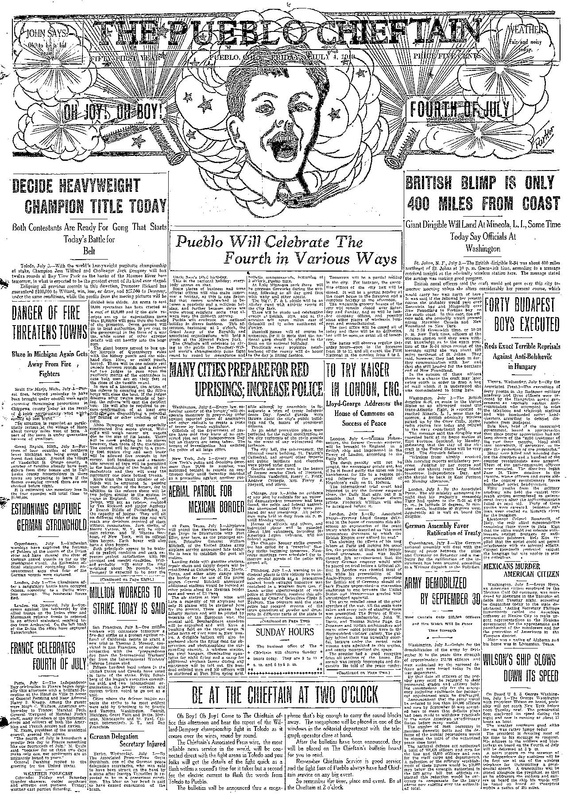 Images of each page below; or scroll down further to download a PDF of the whole newspaper for that day.